Rising from prairie lands where the Elbow and Bow rivers converge, Calgary somewhat counterintuitively takes its name from a Scottish hamlet. Unsurprisingly, this bustling financial, technology and media centre in Alberta is far removed from its namesake. If your travels bring you here, know there are always a great many things going on in Calgary – from attending exciting events at the Calgary Stampede Grounds to munching on one day specials at your new favourite restaurant, you’ll never run out of things to do in bustling Calgary. 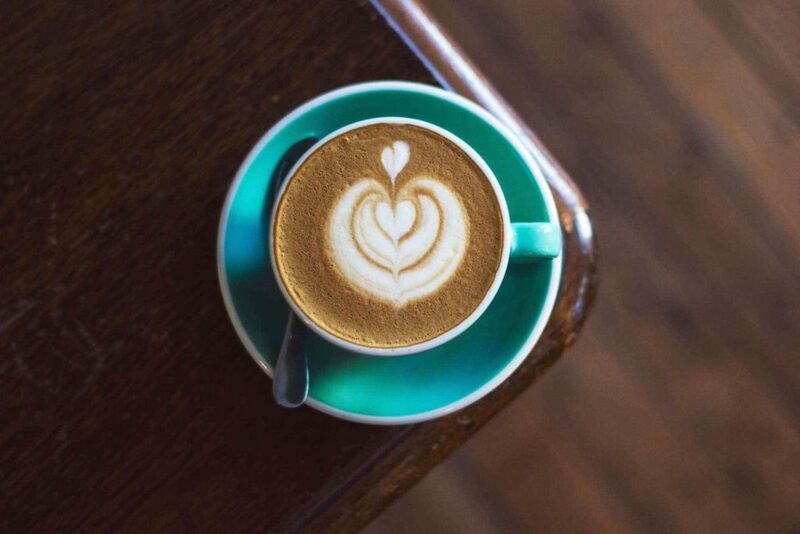 Treat yourself to a sublime cup of coffee at Kawa Espresso Bar. A caffeine pick-me-up is always welcome before or after a long day of work or travel. Kawa Espresso Bar serves a sublime espresso packed with caramel and chocolate undertones – an indulgent way to perk up an early start. Visit a bit later in the day and you can unwind with a crisp glass of wine or refreshing beer. It’s also a hot spot for local music. You can often find hip jazz quartets and a cast of DJs adding some atmosphere in the evenings. The place might not look like much, but you won’t be able to forget it after trying their signature hotdogs with chilli, bacon and onions. It’s not often you find an award-winning restaurant that serves hot dogs, but Tubby Dog does just that. Since opening in 2005, it’s garnered plenty of acclaim from local and national press; once you’ve tried one of their signature dogs stacked with meaty chilli, crispy bacon, fried onions, cheese and mustard you’ll understand why. If you’ve got a sweet tooth, try their dessert dogs, which include flavours such as peanut butter and jelly. 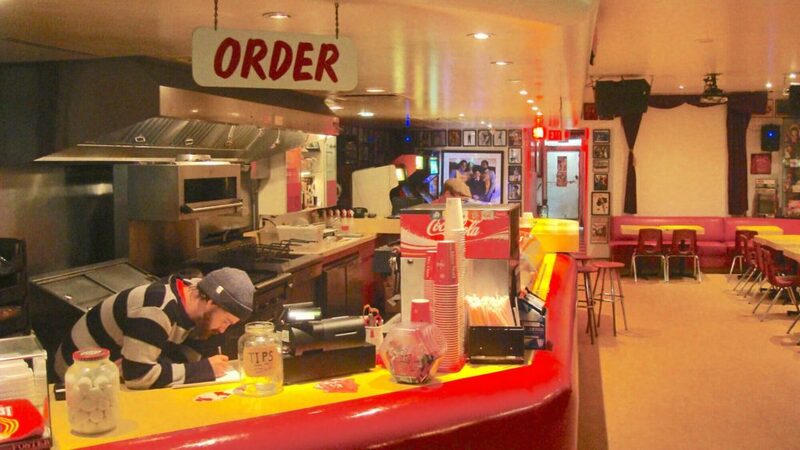 There are also vegetarian options, and the restaurant rotates its menus so burger and taco lovers can get their fix too – Tuesdays are Tubby Taco day, while on Wednesdays it’s the Tubby Burger. Lock eyes with a leopard in Calgary Zoo. Getty Images/​John Andersen. 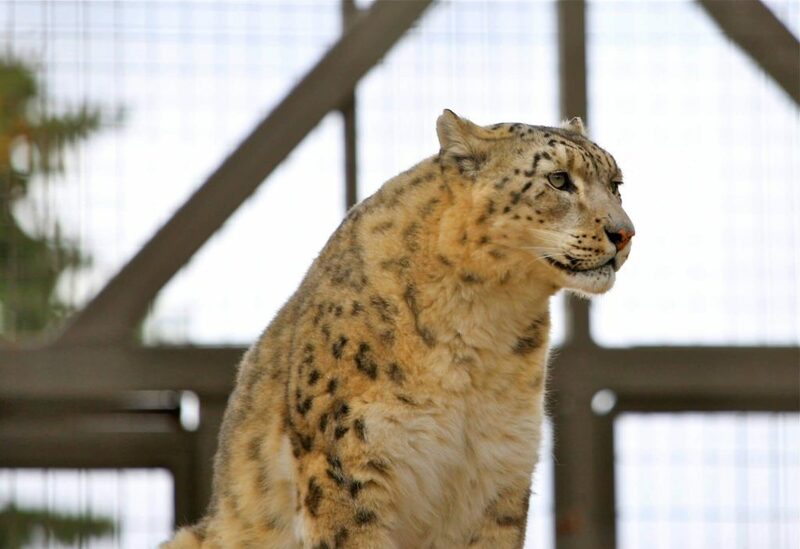 Calgary Zoo is host to a vast range of rare creatures, including red pandas and lemurs, while boasting plenty of activities and gifts for the nature lovers in your family. In addition to showcasing animals, the zoo has a peaceful and relaxing conservatory complete with fluttering butterflies, pineapple plants and a huge collection of flora from across the globe. You’ll also find plenty of places to grab a bite to eat or sit down for coffee, such as the Kitamba Café or Tusk and Grill. Tapas, tapas, and more tapas. Credit: Anju restaurant & lounge/​Thanin Viriyaki Photography. 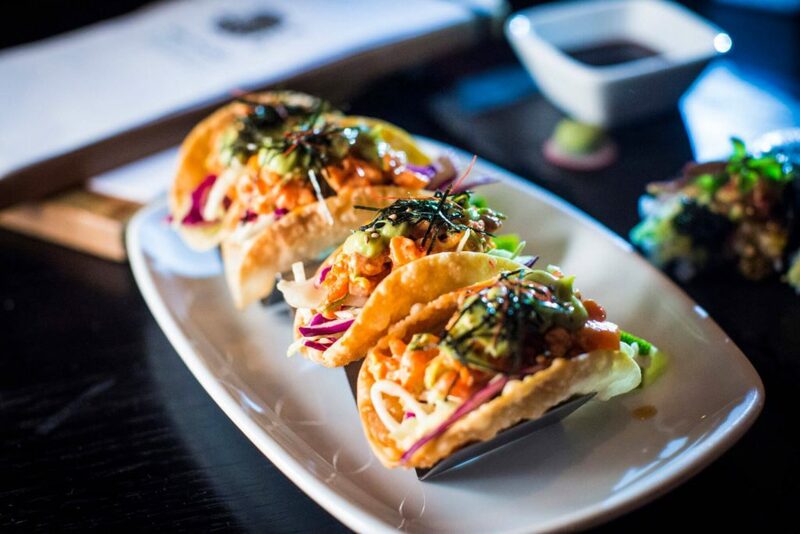 The vision of award-winning chef Roy Oh, Anju Restaurant offers a fusion of Korean and Canadian flavours in the form of tapas. This spot is ideal for supping a couple of drinks – they serve traditional soju and sake too. A few crisp beers also give you the perfect excuse to delve into the moreish, salty hits of the mushroom tempura, crispy seaweed or zingy kimchi chilli nachos. Stop in for lunch to taste the truly indulgent Korean curry chicken hot pie or the sweet and succulent grilled beef short ribs. 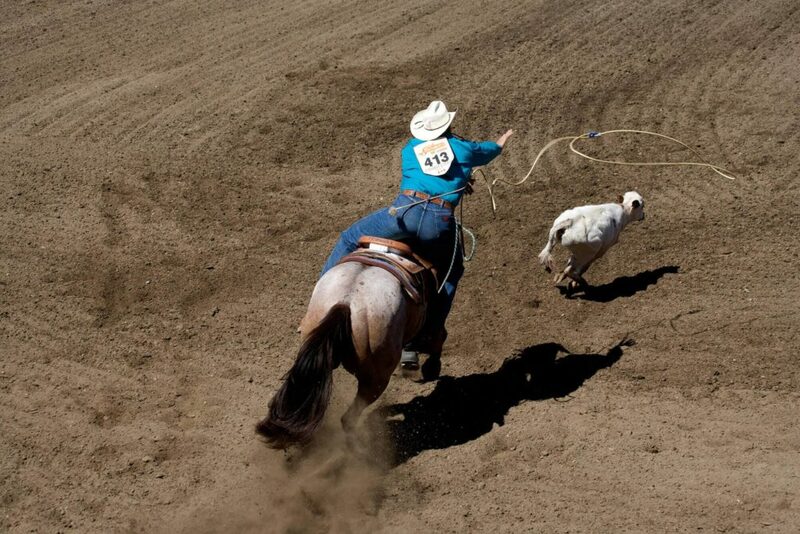 Watch the rodeo at the Calgary Stampede. Credit: Getty Images/​National Geographic RF. Home to an abundance of events year round, the Calgary Stampede Grounds contains a stable of impressive buildings, including some of the city’s largest venues. Depending on the time of year, you can catch high-octane hockey games, warehouse sales, Halloween scream fests and galas. It’s best known for hosting the Calgary Stampede – a huge Western-themed outdoor show that features thrilling rodeos, wagon derby races, live music, and plenty of food options. When you’re in town, it’s certainly worth checking to see what’s happening as events change monthly. 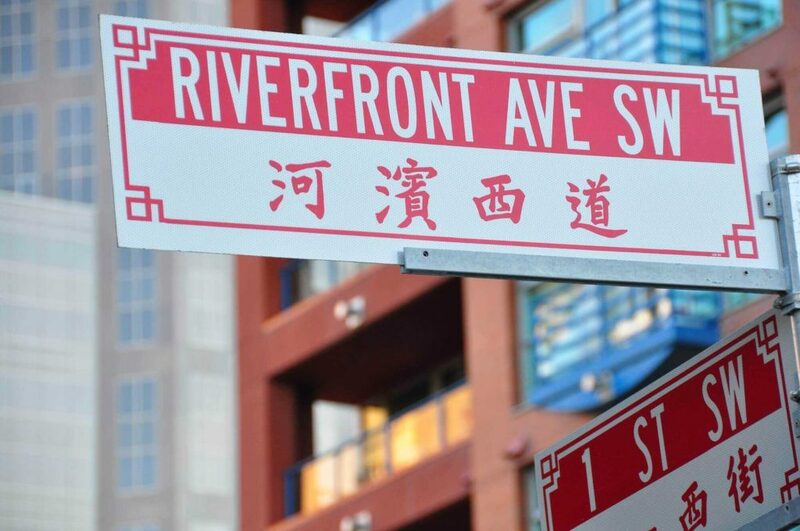 Spend a day wandering around Calgary’s Chinatown. Credit: abdallahh. Calgary’s Chinatown has a history dating back to around 1880 and has grown over the last century into a vibrant, colourful and culture-packed district. Sitting right on the banks of the Bow River, Chinatown has, as you might expect, some of the best places to eat in the city. The Silver Dragon, for example, offers exceptional dim sum, and the contemporary interior makes it easy to pass the time while sampling a variety of Cantonese and Szechuan cuisine. Head to the Dragon City Mall for all kinds of imported Chinese goods, including rice steamers and kid’s toys.